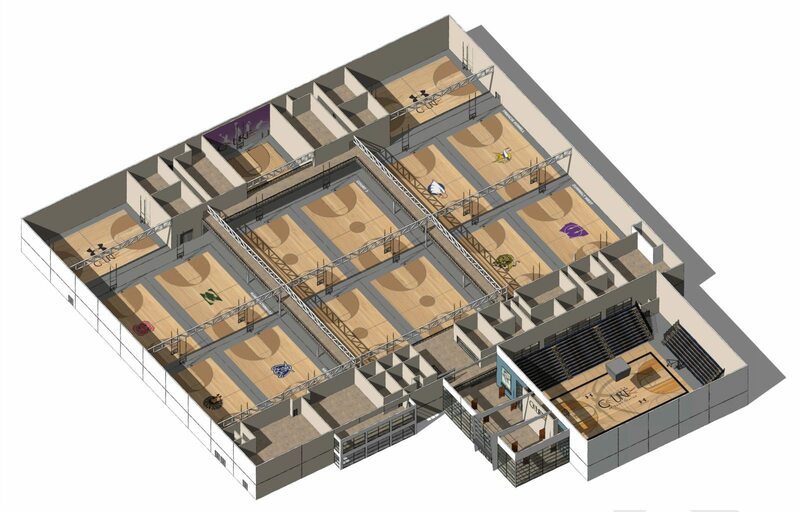 This athletic facility concept was developed to meet the growing demand for practice and game court-time for West St. Louis County youth basketball teams and leagues consisting of over 5,000 participants; as well as, offering a central location for regional and national youth basketball tournaments. 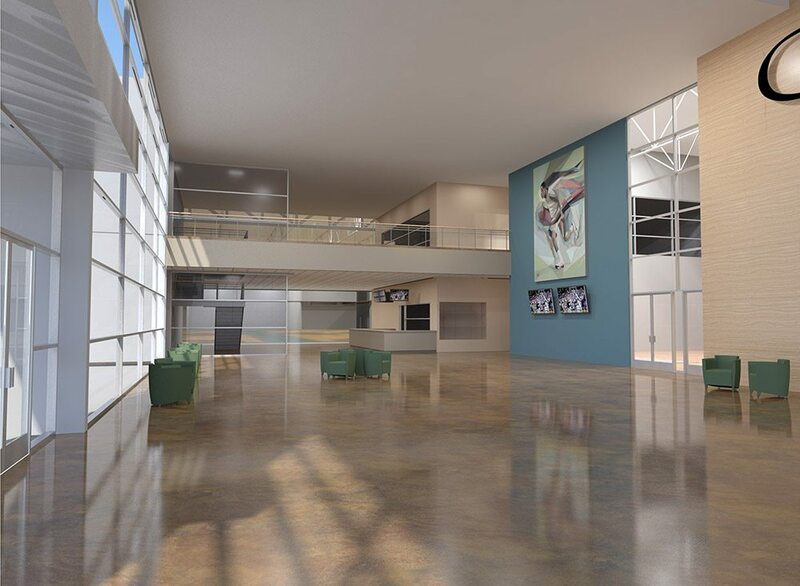 The facility was designed with a suspended catwalk system that would not only be used as a jogging track, but could be secured and serve as a private viewing area of all courts for collegiate coaches/recruiters during tournament play. Multi-use of the facility was an important criterion; the design accommodated personal training and physical therapy facilities together with a 24-hour members gym and full-service kitchen and food court. 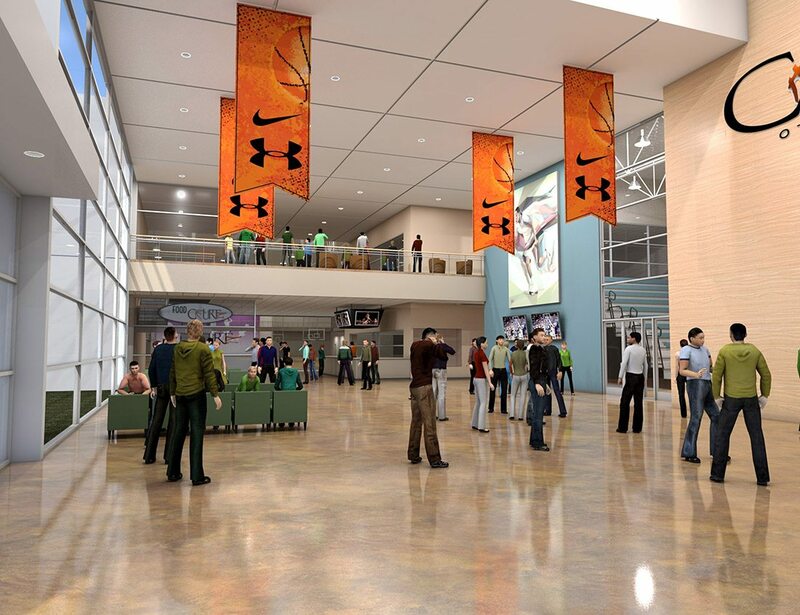 The ‘Performance Court,’ seating 3,000 spectators, was designed to have a collegiate ‘Final Four’ atmosphere – center-court suspended score board and video display wall.